The guy that took the picture was Tom Howard for the Daily News sister paper in Chicago, the Tribune. 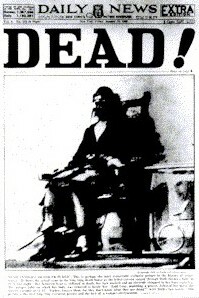 Howard was a photographer, but used a reporters credentials to enter the death house. NY authorities tried to prosecute him for years, but nothing came of it. Howard went on to become a White House photographer and had a successful career. As a bit of trivia, he is George Wendt of Cheers fame’s grandfather. 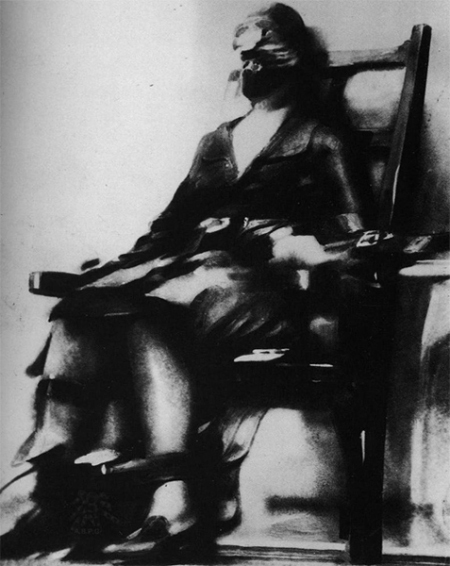 I wonder if anything became of the journalist who took the picture of ruth snyder in the electric chair? They were also called granite woman and putty man, probably because he was like putty in her hands. Point of order: I indicted his will, not his wrist, with limpness. Excellent cautionary example of what can come from having an affair with a “limp-wristed corset salesman from New Jersey” – married or not. But if such a social blunder can – even at a distance – inspire a work of art like Double Indemnity, then cosmic justice will have been served.